Hotel marketing in Thailand is about revenue, not about how much you invest. Your hotel in Thailand has an online marketing budget, even if you don’t think so. Commissions hotels pay in Thailand to online travel agents are indirect marketing. What OTAs spend in web marketing to provide your Thai hotel bookings, you repay them in commissions, plus the OTA's profit. you won't have to spend every year for each guest. When new and repeat guests book via your Thai hotel website, you're building loyalty. Guests know your site / your contact / booking information. You know their contact information. OTAs sell your rooms @ $100 per night taking $20 commission. Your hotel booking engine only takes $4, saving you $16. If you sold these 10 rooms directly from your own hotel site, you'd save $16 per room per day. To ensure guests book directly via your site, discount rooms $1. To set digital marketing KPI's for outsourced digital marketing agencies. Web analysis and online hotel marketing reports. "Search Engine Optimisation" for hoteliers in Thailand (SEO) marketing of your Thai hotel website. CFOs like numbers such as spend this baht, get these tourist dollars back. Track, measure, analyse, improve ROI with digital marketing Thailand. Hotel marketing campaigns create web assets that have a compounding effect because they continue to generate value (bookings) over time without too much additional investment. Thai CFOs love that! 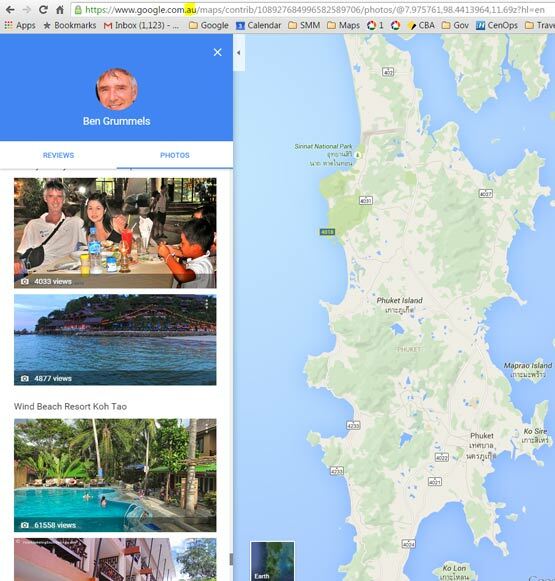 Google+ Local business review marketing and Google Places consultation for better hotel marketing on Google Maps of Thailand and Google Earth. eg: Getting your Thai hotel links, photos and Thai hotel video marketing on www.mapgoogle.org (which gets 1 million views per year) and www.mapthailand.asia , free for all clients, are good Thai hotel marketing strategies. Market upselling to hotel guests such as your hotel restaurants or other hotels in your hotel chain or your tour desk with all the interactive options of a web page during WiFi sign-in. Also market survey hotel guests' personal data collection for remarketing when they sign-in to use your hotel's WiFi. 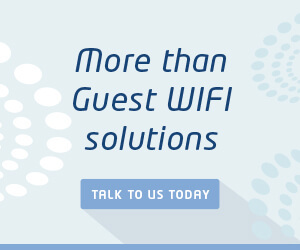 Click banner ad at RHS of this page for more reliable, affordable, hotel marketing during WiFi sign-in. FREE VR video production for hotels in Thailand. Cheaper than you think. A two day stay/famtour will give time to capture the best features of your hotel in Thailand. In content marketing, "Content is king". Embed on your hotel video marketing page. In the hands of your Thai social MEDIA marketer's job of creating buzz marketing, aerial video of hotels in Thailand is AWESOME marketing. If your hotel in Thailand is not a luxury hotel, more of showing off the environment attractions your hotel is set in, is an option. Photosphere for Google Business View advice on which photographers in Thailand Google recommends, Who and how to use these internal "Street View" type photos of the interior of your hotel. Video Marketing for Thailand hotel marketing. Search Engine Optimisation SEO marketing of your Thailand hotel video on the world's 3rd most popular website / search engine: Youtube. Addition of you Thai hotel videos to our Youtube channel which has had 1.5 million views. from 3,000b per month or 30b per click, which ever type of hotel marketing investment you prefer. Marketing discounts apply for not-for-profit organisations such as the "Tourism Authority of Thailand" (TAT) and for members of other hotel associations in Thailand. CONTENT MARKETING THAILAND Advertorial with your hotel link on popular web pages such as: www.hotelphuket.mobi @ $1 per day. That's a lot less than the cost of a Thai hotel room night but a BIG boost to revPAR (revenue Per Available Room) for hotels in Thailand. What hotel web marketing would you like to invest? 2,500b per month or 18b per click (minimum marketing investment package 10,800b)? Let "4 Web Marketing" manage pay per click marketing for Thai hotels. Google's brand name for pay pay per click marketing is "Ad Words". PPC is good for short term events such as promotion of one off conference accommodation in Thailand at your hotel. @ 75% discount off the average, market PPC rate. Let "4 Web Marketing" manage pay per click marketing campaign for hotel marketing Thailand. SEO marketing Thailand wide has a much higher ROI than PPC. It takes time to build the lead generation factory which produces higher ROI. Your Thai hotel will own that factory and can look forward to an on-going higher ROI than PPC even after you stop content marketing and SEO. Social media marketing of Thailand hotels. Let "4 Web Marketing" manage your hotel's social media marketing in Thailand. Free Thai hotel marketing for Thai hoteliers which want to promote their CSR media releases via our Corporate Social Responsibility Google Plus page. Contact 4 Web Marketing with your contra incentive for marketing your hotel in Thailand? My Thai wife Suree Sribuathet and I will be holidaying in Southern Thailand early December 2015 and travelling to our home near Vientiane via Bangkok mid December. Page one of search engines for various phrases. Eg: "accommodation near bangkok" Do any hoteliers in Bangkok want 75% discount off the average market pay per click rate for marketing your hotel on this page?